In the Montefeltro territory and especially Monte Cerignone has the ideal microclimate source for the maturing of coffee and are also well known for their natural beauty. Nobody thought that this climate could bring such quality to the maturing of raw coffee. But like all things born by chance, coffee is also enriched by our beautiful discovery. This plant product, cultivated thousands and thousands of kilometres away, from the highlands in its native country, absorbs a considerable amount of salt-rich moisture during the voyage on the ship. After a period of at least 40 days, the raw coffee stored in special basements reaches an ideal balance of moisture and temperature. In this so called “Breath Phase”, a more stabilised product is obtained, especially for espresso: the cream becomes more velvety and more compact. Also during the roasting process, the coffee beans descend into the cooling tank (being porous to high temperatures), it does not absorb excess moisture and it is packaged with a moisture percentage (%) close to 0. A natural oxidation is initiated normally by the combination of moisture and oxygen. Therefore, this finds it more difficult to manifest itself. Probably, the dream of every entrepreneur, executive and manager is to achieve his/her company’s excellence. With total quality, efficiency and constant improvement, attaining this aim is difficult but not impossible. Achieving complete harmony in the company is certainly a “wish” to be fulfilled. The harmony of every individual is linked to many factors; the entrepreneur or manager is not able to just flip a switch and insert harmony into a human soul. But the entrepreneur can and has to feel the desire of a global harmony and convey this feeling, promote, communicate and create a craving for it, At Pascucci, we believe promoting harmony and sowing its seeds at work is a good way to improve a human being and his actions. At Pascucci, we believe having the utmost respect for human dignity and for the surrounding environment allows us to regain balance and cooperation until reaching the right harmony. At Pascucci, we promote a balanced relationship with farmers, our suppliers, our working staff, as well as with our customers, in order to drive them to work better and better. We want you to be richer. Matching two words like passion and work could seem a bit excessive, but how could you call that stream of feelings which draws each component of the family and the whole staff of Pascucci to work together in the best way and in every company sector? The link with coffee and its brand name is the real motivation for Pascucci, the biggest spur to strive for excellence. Passion, enthusiasm, wish to improve: the Pascucci gift for every operator. At Pascucci we learned the existence of two work methods: work well or work well with passion. We know that the result of these two work methods is not really the same. Spreading this sensitiveness among all operators is not an easy thing. But the human resources of Pascucci are the real company treasure. This is what we trade together with coffee. 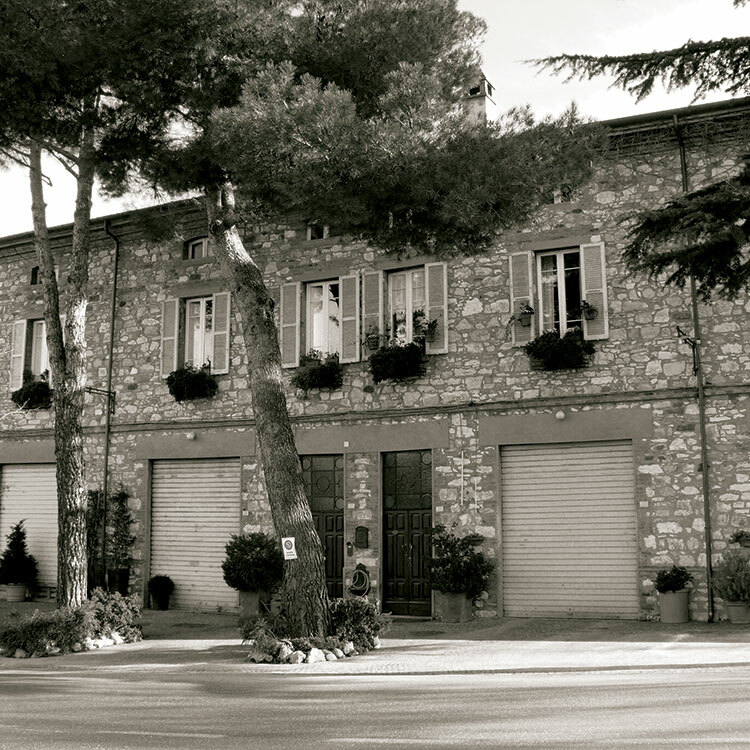 It was 1883 when Antonio Pascucci, the son of two weavers decided to devote himself to trade. First becoming a small manufacturer and focused on alimentary products. On July 15th, an agreement between Italy and England was made to ratify the freedom of trade and navigation between the two countries. Among the products, he traded colonial raw coffee became his passion. In 1935 Mario Pascucci got involved and continued his father’s work. He opened the first family shop in Monte Cerignone, managing it together with his wife Domenica. During the post-war period, Dino Pascucci, Mario’s brother, then opened his own coffee bar in Monte Cerignone as well and installed the first espresso coffee machine. In His coffee bar the specialities are coffee and sorbets. In the Fifties, Alberto Pascucci decided to industrialise the roasting process and established the first production plant. In 1963, Alberto installed the indirect-fired coffee roaster in order to get a homogeneous roasting operation to obtain espresso coffee. In 1975, Caffè Pascucci focused only on espresso coffee, abandoning food distribution and setting up the project “only top-quality coffee”. The extra bar mild blend was created from the union of natural Arabica, Robusta and Arabica washed coffee. Then, the golden blend, composed of sweet and aromatic coffee, which improved the taste of the espresso coffee. In 1996, the Espresso School was established. It is a vocational training centre committed to espresso and coffee recipes. The family company CIALDINO was born in 1998 and it plays an active role in the distribution and research of the coffee mono-dose pods sector. In the Nineties, the family decided to start up and repeat the experience gained in the coffee bar sector according to the traditional model, through design and research in order to promote the development of coffee stores representing the brand Pascucci. In 2000, they inaugured the pilot centre CAFFÈ PASCUCCI SHOP: a single brand and a replicable sales point. In the same year, they also set up a project for a new plant intended to reach the best quality. 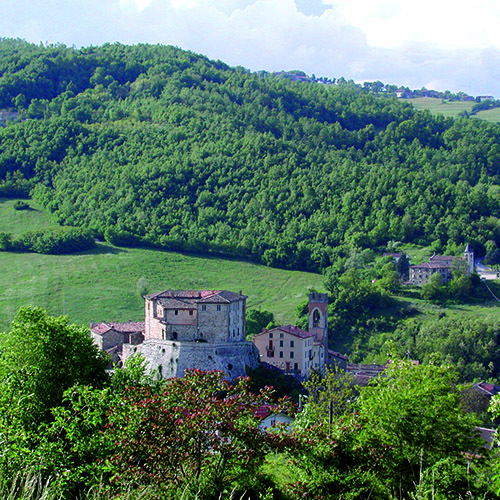 The location is still in the town of Monte Cerignone because of the unique climate that keeps the raw coffee moisture stable. Followed by the Pascucci roasting system (with sound control) was patented. In 2006 the Chamber of Commerce awarded a prize to Alberto Pascucci as he helped the family company reach the winning post in terms of qualitative excellence. The search for quality being the foundation of Pascucci, the company has moved its production site into a new and important plant. With many tools and techniques, along with the historical site itself, have been preserved. The analysis laboratory, managed by specialised technicians and agronomists, guarantees the quality of the raw coffee. In this laboratory, in addition to the multiple analyses of grains (peculiarity, moisture, presence of defects, molds, etc. ), strong relations with peasants are built, information tools are created for those farmers with less training, soil characteristics are studied to select the best manufacturing areas in the world, and gathering centers are also being studied to identify, support, and arrange for them to be able to operate according to the quality criterion. The tasting area, created for the study of sensory perceptions (visual, olfactory, gustatory) which are released by every bean, and the resulting mixing. Only after this phase, we can determine if the raw coffee is suitable to become a blend for Caffè Pascucci. Every year more than 5,000 tasting tests are carried out. Maturation: Along with human resources, selection, blending processes and all the correct working phases, the core of the plant is the deposit of raw coffee. In this basement storage, with constant and controlled moisture, the eleven different types of raw coffee imported directly are brought to the right maturation. In this environment for ripening, for a period that is more or less long depending on the characteristics of the various raw materials, the moisture contained within the green grains is brought to the right balance. Raw Coffee Processing: From the warehouse, a series of machines clean the different raw coffee, this cleaning process serves to ensure the purity of the raw material. The dust removal system, a machine that removes the coffee residuals, the metal detectors, the stone and foreign bodies removal systems , the sieves of the granulometry screens and colour picks the immature and abnormal coffee beans, these all work in sequence on every batch of raw coffee. If raw coffee has already been cleaned at the source, these internal cleaning processes is repeated. The aim is to have as much purity as possible. This processes also serves to eliminate any residuals that might have accumulated during the long journey. The automated system transfers raw material to raw coffee silos. Then after weighing, they are passed directly to roasting plants to complete the processing operations. Experience and technology: In addition to respecting the quality of processing procedures, Pascucci has an important patent used to ensure control the ideal roasting. Tradition taught us that to roast coffee we have to “listen”. During the roasting procedure, coffee makes a cracking sound, along with the colour and time notifies us of the best balance. As the bean noise is comparable to all other traditional roasting parameters, the best roasting process can be obtained and certified today. Coffee is grinded and transferred to mixers and storage silos, then to different packaging machinery depending on the necessary size. All transfers are protected to preserve aromas and food safety. Training centre: an equipped classroom hosts the Espresso School courses. character.Here you can acquire the knowledge you need to get the finest blends of the highest quality in the preparation of espresso, cappuccino and recipes elaborated within the express school. PASCUCCI is loved throughout the world, in Italy, Spain, Cyprus, Malta, Austria, Albania, Romania, Greenland, Latvia, South Korea, Philippines, Hong Kong, China, Saudi Arabia, Kazakhstan, Brazil and Malaysia. All website materials, photos and write up is ©Copyrighted to Caffe Pascucci Malaysia. All rights Reserved.